Yi Yun recalled Xu Qingyun of the Linxiao a.s.sociation. He first met Xu Qingyun when a lobbyist of the Chu royal residence tried to draw him into their faction by promising him many benefits. But amongst the conditions given to him by the Chu royal residence, there was a hidden soul contract. Once it was signed, he would have to serve the Chu royal residences for many years. It was then Xu Qingyun who stopped the lobbyist. Although Yi Yun would most likely not have signed that unfair contract, even without Xu Qingyun’s interference, it was still something that was nauseating. Yi Yun did not have a good impression of the Chu royal residence. Yang Dingkun, who tried to take advantage of the situation to profit by cheating him, was someone that Yi Yun would not mind swindling. “The ‘Truth of the Laws’ then&h.e.l.lip; alright, I’ll agree to it!” Yi Yun said in a slow manner. He had initially set up a trap for Li Hong to jump into, hoping to get more of Li Hong’s dragon scale runes. He did not expect that there would be another person who would walk up to the trap voluntarily and insist on jumping into it. Hence, the stakes became bigger this time to the point that it exceeded Yi Yun’s estimations. Seeing Yi Yun agree, Zhao Qingcheng became worried. The girls that surrounded him were also worried for Yi Yun. Yi Yun may be strong, but Li Hong was a prominent figure amongst the second year cultivators of the Tai Ah Divine City. Li Hong was ruthless and he had a dark personality. His strength was also horrifying. It would be hard for Yi Yun to beat him! The henchmen were overjoyed. Once it was filed, there would be no two ways about it. But Yi Yun could not be bothered with them. He picked up a piece of meat and carried on eating. “Kid, I’ll let you be arrogant for a little while longer. Tomorrow, you’ll be crying! Let’s go!” After a henchman said those tough words, he turned and left. Seeing Yi Yun ignore them and carry on eating his desolate beast meat as before, Zhao Qingcheng and company were rendered speechless. 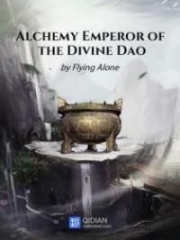 In less than two hours, the news that Yi Yun was betting the ‘Tai Ah Sacred Technique’ for the ‘Truth of the Laws’ with Li Hong had spread throughout the Tai Ah Divine City. Even the veteran cultivators, who had spent four years in the Tai Ah Divine City, paid close attention to this matter. The main reason was because the stakes involved the ‘Tai Ah Sacred Technique’! “He even dares to bet the ‘Tai Ah Sacred Technique’! ?” Many veteran cultivators turned green with envy when they heard this. They had been been in the Tai Ah Divine City for a few years, yet they had never had the chance to even touch the jade scrolls of the ‘Tai Ah Sacred Technique’, let alone learn it. Some people a.n.a.lyzed it this way. 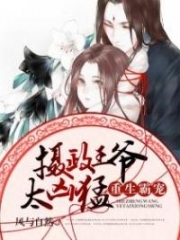 Yi Yun gave a strange overall impression. His saber was overpowering, but his insight into the laws was weak. His talent was also said to only be average. It would not be easy for Yi Yun to learn the ‘Tai Ah Sacred Technique’ under such circ.u.mstances. For example, Qiuniu was considered to be similar to Yi Yun. Yi Yun’s saber technique was powerful, while Qiuniu’s strength was powerful. Qiuniu’s strength left many rookies in the dust, but not many people believed that Qiuniu would be able to master the ‘Tai Ah Sacred Technique’. Learning something did not depend on a person’s fighting prowess, it depended on one’s perceptivity and talent! As for people like Chu Xiaoran, many of them believed that she was the one most likely to master the ‘Tai Ah Sacred Technique’. “He got it from the glory points he earned from picking herbs, so maybe he doesn’t know how to appreciate it? In the future, he will find out how hard is it to earn glory points!” Some people said angrily. They all wished the glory points that were used to exchange for the ‘Tai Ah Sacred Technique’ were theirs. Naturally, Yi Yun was not bothered by the reactions the veteran cultivators had. He already went looking for Cang Yan, because he was planning on entering the saber tomb. He wanted to spend the night honing his saber technique. Li Hong was a strong opponent and Yi Yun did not know Li Hong’s full strength. Although he was confident about tomorrow’s battle, he could not guarantee his victory. He had to go all out. Yi Yun would not waste the time he had at night. This was a big bet. If he won it, he would obtain the ‘Truth of the Laws’. This was something Yi Yun was in absolute desperate need of to help him understand the laws! When Cang Yan opened the door to the saber tomb for Yi Yun, Yi Yun suddenly had a thought and looked thoughtfully at the other chamber. That was the&h.e.l.lip; sword tomb! If he entered the sword tomb, what would happen? Yi Yun knew he was not a natural saber user. When he chose the saber in the Jin Long Wei Divine Capital armory, he did not have the feeling of that legendary physical affinity. The reason why he could gain insight on the Saber Truth’s 32 Words had nothing to do with his accomplishments in the way of the saber, it was completely due to his energy vision. He could see the energy flows inside the Saber Truth’s 32 Words at a glance. These energy flows were in fact equivalent to the laws of the saber truths! If he entered the sword tomb, would he gain an additional bonus? The laws in the saber and sword tombs were incomprehensible profound truths for many sages. Even with the profound truths laid out there, very few of those who entered the tombs gained anything from them, because they could not comprehend anything! Since he had the facilities to do so, why would he not try to gain further insights to broaden his horizons? “Kid, what are you standing around for? 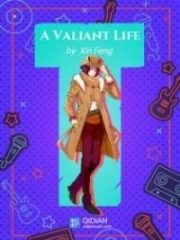 Why aren’t you entering?” Cang Yan’s voice suddenly interrupted Yi Yun’s thoughts. Yi Yun hesitated because he did not know what to say. He knew that the truths in the sword and saber tombs were something sages of various generations had trouble understanding a tinge of it, let alone learning both at the same time. “By being able to gain insight into the Saber Truth’s 32 Words’ saber truth, it proves you have an extraordinary keen sense in the saber truths. But the more keen you are on the saber truths, the lesser your senses will be for the sword truths.” Cang Yan exhorted Yi Yun. If an average person had talent in one type of weapon and they managed to go far using it, it would be impressive. Cang Yan had never heard of a person reaching the far extremes in the use of two different weapons! Yi Yun suddenly realized that there was a possibility the sword and saber tombs were the works of a single person. If that was true, to what extent did that person reach in his martial arts attainment? At the same time as Yi Yun entered the saber tomb, Li Hong was meditating in an expensive cultivation room. Swirls of Yuan Qi condensed into a visible flow before they entered Li Hong’s body. With the inflow of Yuan Qi, Li Hong’s muscles began to swell up like waves. Li Hong clenched his fists. He wanted to use the cultivation from that night to push his condition to its highest point. At the same time, he also tried to consolidate his soon-to-be Yuan foundation cultivation level. Li Hong had several speculations about Yi Yun’s hidden strength. There was no way Yi Yun could hide his cultivation level. He was definitely at the peak of the middle-stages of Purple Blood. A person who had their Heaven’s Eye opened had looked into it for him. It was also impossible for Yi Yun to have an Aspect Totem as he never went into the wilderness to hunt desolate beasts. 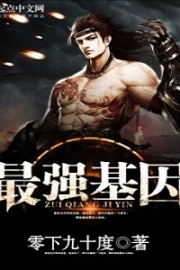 Yi Yun might have hidden his cultivation techniques or laws, but with the insight of a Purple Blood realm warrior, it was definitely not going to be a heaven defying thing. 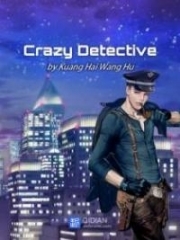 Li Hong had even envisioned that even if Chu Xiaoran’s understanding of the laws had been implanted in Yi Yun’s body, Yi Yun was still not his match. Taking a step back, he considered the possibility of Yi Yun having secretly learned a powerful cultivation technique. But even if Yi Yun were to learn something like the ‘Star Picking Hand’ or secret techniques that belonged to a duke-cla.s.s family, Li Hong still believed that he could beat Yi Yun! Furthermore, with Yi Yun’s background, where could he obtain a cultivation technique that was at the duke-cla.s.s level? No matter how much he calculated or envisioned it, this battle was a sure-win! Li Hong’s eyes flashed as he clenched his fingernails deep into his flesh. He had an extreme desire to win the battle tomorrow. An uneventful night pa.s.sed. Both Yi Yun and Li Hong worked hard. The upcoming battle was too important to them. Next morning, when the sun rose, the cultivators in the Tai Ah Divine City woke up and began to arrive in the arena in streams. The number of spectators who came today was even higher than the day Yi Yun fought Chu Xiaoran. People were looking forward to know the results of Yi Yun and Li Hong’s huge bet. You're Read True Martial World Chapter 249 - Saber and Sword online at NovelOnlineFull.com. You can use the follow function to bookmark your favorite novel ( Only for registered users ). If you find any errors ( can't read,broken links, can't load photos, etc.. ), Please let us know so we can fix it as soon as possible. And when you start a conversation or debate about a certain topic with other people, please do not offend them just because you don't like their opinions. You're reading True Martial World. This manga has been translated by Updating. Author(s): Cocooned Cow,蚕茧里的牛. Already has 8909 views. Current Time is 21-Apr-2019 02:57:40 AM.